The guys over at ADHD are back and this time they're going to show us what scientifically accurate ninja turtles are really like. 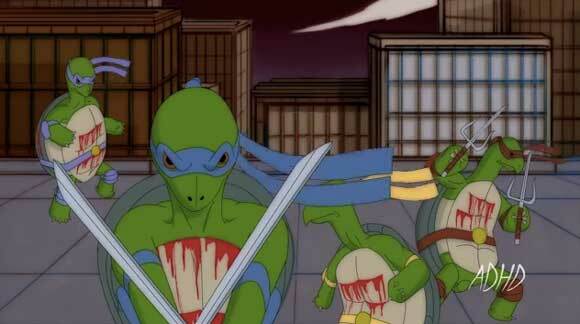 Before you go and watch the entire video it's always good to warn you guys that things get a little too graphic when it comes to these types of videos so if you love your image of those Ninja Turtles just the way they are right now you might want to skip the video. But if you're like me and totally curious about science and stuff go ahead and destroy the cute image inside your head with science.